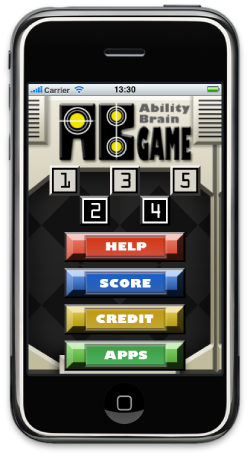 iPhone application “AB GAME”. - AMUZENET, Inc. Simple game collection consisting of light and sound! Remember the place of the button that glinted. After they're done glinting, you can push the buttons, so try to push the button that glinted in order. All your selection is correct, you'll get another button you need to remember. This is the contest how many correct answers you've got untill you make a mistake. This is the game you guess the three numbers which computer made up. 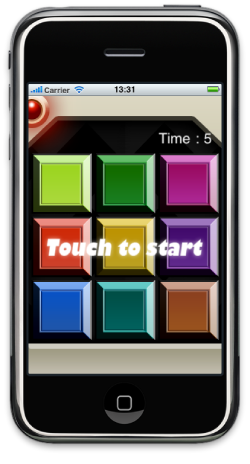 When the game begins, press any three buttons. Everytime you press three buttons, you'll know how many numbers are correct. With that clue, figure out the numbers which computer made up. How many times you need to solve the numbers? 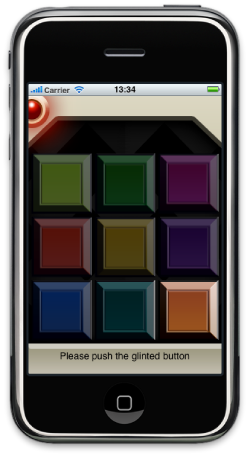 This is the game you push the glinted button quickly. Push the button while it's glinting, you can hear the sound "pico". That means you defeat one. How many button you can defeat against 100. There is one bomb is hiding out of nine buttons. You'll win the game if you could push 8 buttons without pushing the bomb. There is one submarine is hiding out of nine buttons. You have 3 chances to find the submarine. 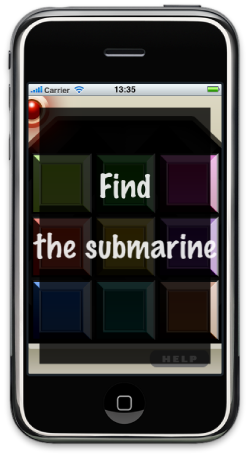 If you push the button next to the submarine, the robot will give you a clue, so you find out. Find the hidden submarine. The enemy submarine is moving. If you're attacked by the enemy submarine, there are 4 buttons in left below to avert it and choose which way you go.